ZTE’s main business operations have ceased due to a ban imposed by the US Government, but China's second biggest telecom equipment maker is trying to have the ban modified or reversed, the company has said. ZTE was hit by a ban last month from Washington, forbidding US firms from supplying it with components and technology after it was found to have violated US export restrictions by illegally shipping goods to Iran. "As a result of the Denial Order, the major operating activities of the company have ceased," ZTE said in the exchange filings late on Wednesday. "As of now, the company maintains sufficient cash and strictly adheres to its commercial obligations subject in compliance with laws and regulations," it said. The US action could be devastating to ZTE. As one of the world's largest telecom equipment makers alongside Huawei, Ericsson and Nokia, ZTE relies on US companies such as Qualcomm and Intel for up to a third of its components. 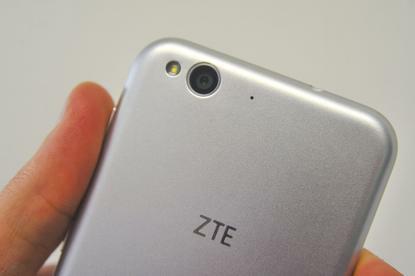 Analysts have said it will be hard for ZTE to stay competitive even if it could find non-American suppliers. Taiwanese semiconductor company Mediatek said last week it had received a permit from the Taiwanese government to continue to supply ZTE. ZTE said it was actively communicating with the US Government "in order to facilitate the modification or reversal of the Denial Order by the US Government and forge a positive outcome in the development of matters." The ban that threatens to cut off ZTE's supply chain came amid heightened tension over a possible US-China trade war. The Chinese government raised the issue of ZTE last week with a visiting US trade delegation. ZTE said on Sunday it had submitted a request to the US Commerce Department for the suspension of the ban. ZTE appears to have suspended its online stores on its own website as well as on Alibaba Group's e-commerce platform Taobao over the past few days, which display a "page being updated" message with no products to order. The Chinese firm did not respond to calls and messages seeking comment. A ZTE employee said that staff had been reporting to work as normal but "with not much to do". The employee, who declined to be named, said business trips had been halted. Employees at ZTE's headquarters in the southern Chinese technology hub of Shenzhen were cagey about speaking to reporters after the ban was announced, but some voiced concerns. One employee said this was the "the biggest challenge" for ZTE since he joined 10 years ago. Another said he hoped the Chinese Government would help, saying he was confident President Xi Jinping would "sort out this trouble". ZTE settled the sanction case with the US Government last March after admitting to illegally shipping products with US technology to countries including Iran and paying a record fine of nearly US$900 million. Last month, the US Government reactivated the ban after it said ZTE violated terms of the settlement and made repeated false statements, which ZTE disputed.